Welcome back after a long weekend - too long if you ask me, as it was totally overhelmed taking care of the sick little lady with her 40 degree fever. Luckily my husband helped me alot with our Dawdler, and so did our family and friends, visiting us and replacing us for a few moments in playing with Zu. Thanks everybody! You are irreplaceable. Due to this crazy weekend sickness I wasn't even able to show you the Icons for Follow Friday #2, not to mention a new post. 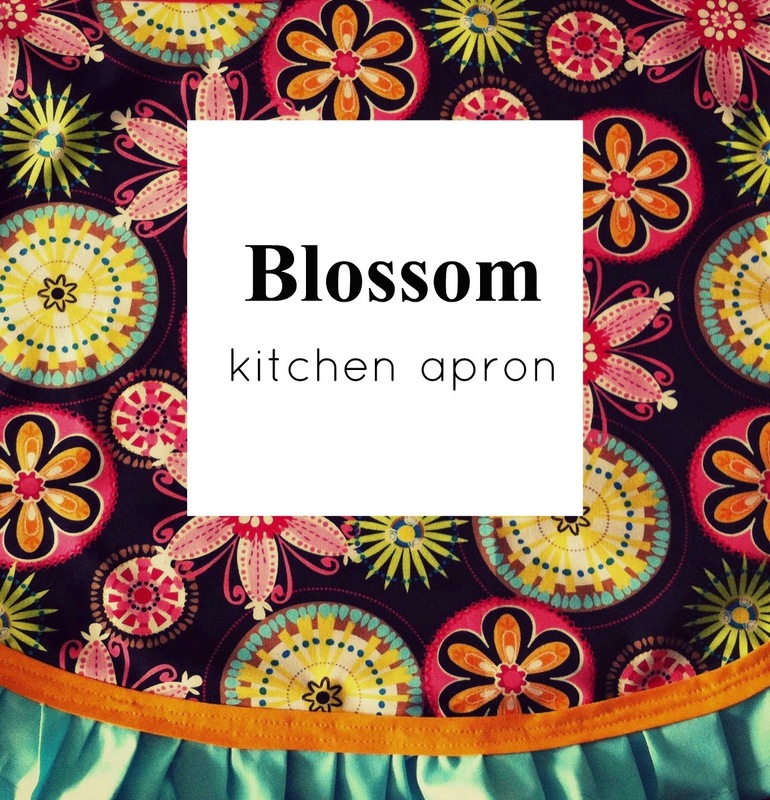 But today is a good day to do that, so here you are: inspired by the visit of my friend, Asia - blooming kitchen apron. 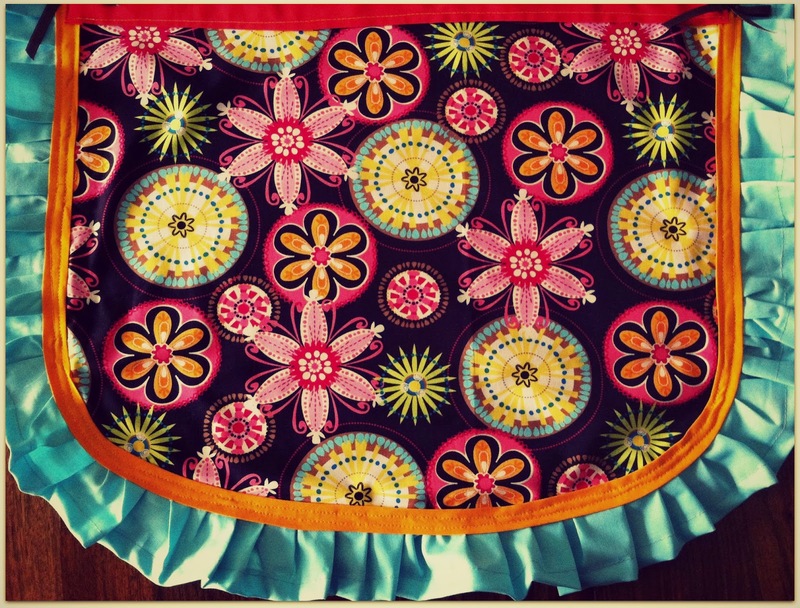 So about this kitchen apron: I made it for one of my best friend's Birthday, as a gift. I knew Asia isn't the biggest enthisiast of cooking or even more doesn't have too much time for cooking, but, hey! 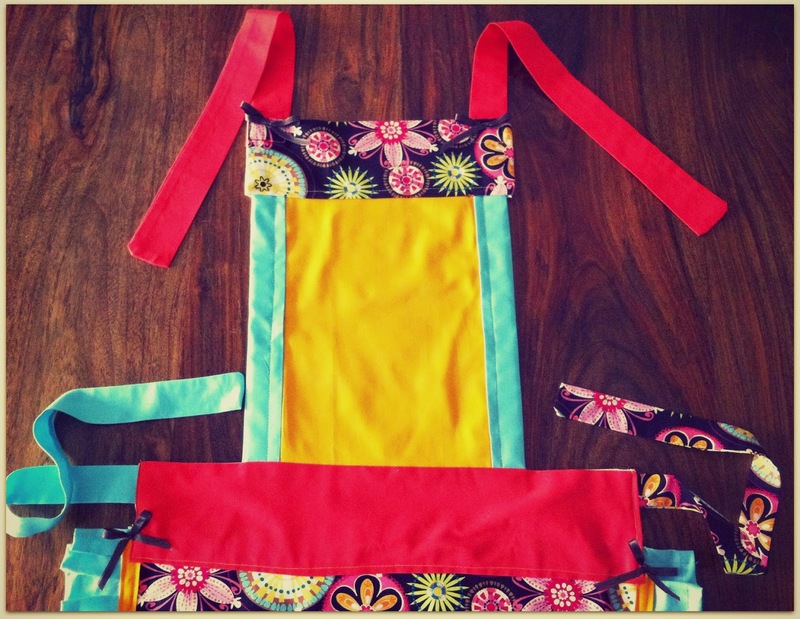 remember the post: You don't need a kitchen apron? Don't worry, I'll make one for you :-) I was doing gifts in a way I was able to, but putting the whole heart in it. If the seams weren't correct enough, I put on the colours, fabrics and accessories (bows, frills, etc.). I knew Asia likes colours (you should see her shoes, sooo colourful!) so I staked on mix of colourful fabrics, especially those brownish Carnival Bloom of Michael Miller, bought at Craftfabric and different tones of Kona Cotton from Robert Kaufman (also picked at Craftfabric). 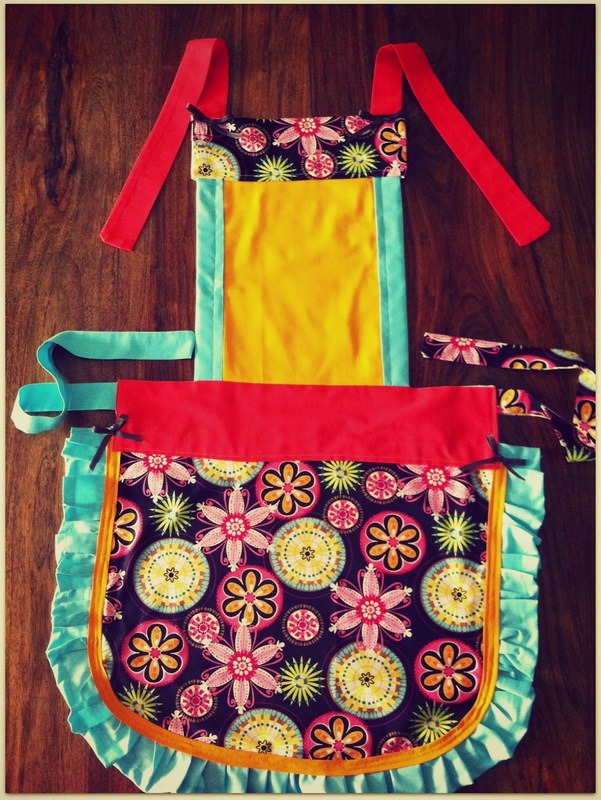 I wanted the apron to be cheerful and positive, to bring joy in Asia's kitchen, even when she doesn't use it while cooking. I was going to make more kitchen accessories for her in these colours, but up to this day I didn't have this flow to sit and sew them. But I will. So do you like this idea of mixing colours so much? Isn't it too much an eyesore? Oh! 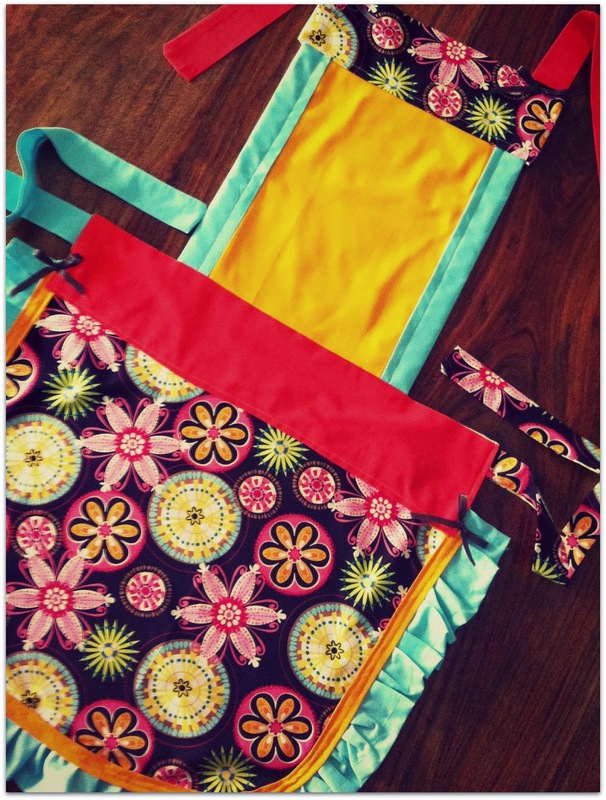 and watch out, maybe one day you will also get such an apron from me :-) Please, live a comment if you want to have is sooner than after ten years of reading this post!